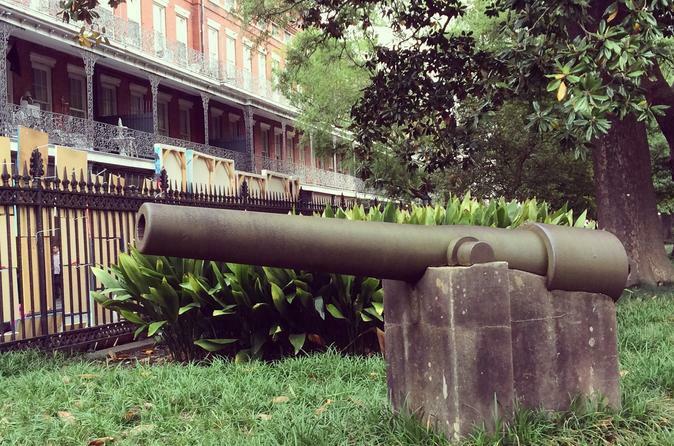 Although no battles were fought within the city of New Orleans, this French Quarter walking tour will cover some of the more important social, economic, and political activities that made New Orleans one of the most important cities during the Civil War. Departing from James Cohen & Sons, located at 437 Royal Street in the heart of the French Quarter, this walking tour covers prominent politicians from New Orleans, international diplomacy, domestic policy that lead to the capture of the city, along with occupation by the United States and race relations in antebellum and war time New Orleans. Not your typical Civil War tour, this walking tour will expose you to topics you might never have considered when thinking about the Civil War and how New Orleans played a role. This Civil War French Quarter Walking about is offered twice a day; 12 noon and 6 p.m. The tour meets and begins from in front of James Cohen & Sons, located at 437 Royal Street, in the heart of the French Quarter. After meeting and greeting one another, the guide will gives guest a foundation introduction as to who lived in New Orleans when the American Civil War started, because to understand who lives in New Orleans when the war begins will help to understand what took place during the war, and why New Orleans was spared destruction, unlike other southern cities. With an introductory foundation into who made up New Orleans in 1861, the tour will walk to its first stop to discuss the significance of New Orleans banking. When the American Civil War began in April, 1861, Louisiana banks were the most sound of all banks in the United States, and as a country cannot fight a war without the means to pay for it, this will help guests to gain a better understanding of how important New Orleans was to the war effort; first for the Union before the war begin, and then for the Confederacy. Next, guest will have two stops that both discuss prominent politicians who lived in the French Quarter, and who were directly involved in working to gain Southern independence and recognition by Europe to support the Confederacy, as well as the defense of New Orleans. As the tour continues, we stop to discuss the capture of the city by the United States navy, and how the city was brought to surrender only thirteen months after the start of the Civil War, as well as how did the city escape destruction, like so many other towns and cities throughout the South. The next stop will discuss slavery in antebellum New Orleans, and the role free people of color played first for the defense of New Orleans, then for the Union, along with how the Union army viewed runaway slaves and then black soldiers. Next on the tour will be a stop where we discuss the election of 1860 and the reaction by New Orleans citizens. And finally, the tour will end in Jackson Square where we briefly discuss the rule of General Benjamin "the Beast" Butler, and his heavy-handed rule over the city.